Navigate to Basic > Network. 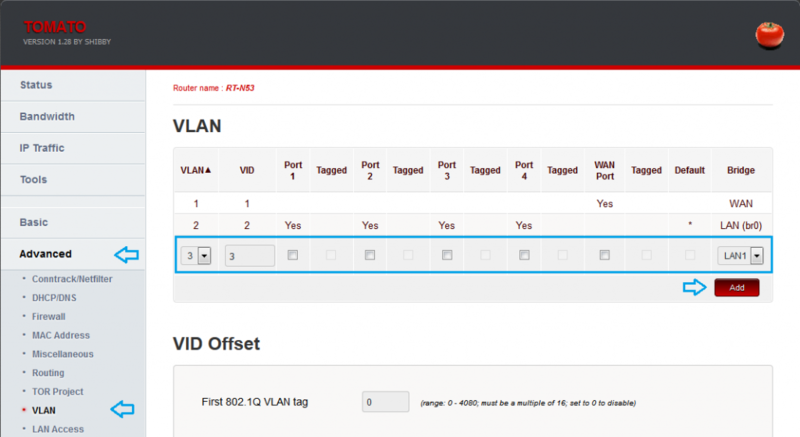 In the LAN section select bridge number, fill in the IP address / netmask, check DHCP and fill in IP address allocation limits for the new virtual network. Scroll down and Save settings. then scroll down and click Save. The router will restart at this point. 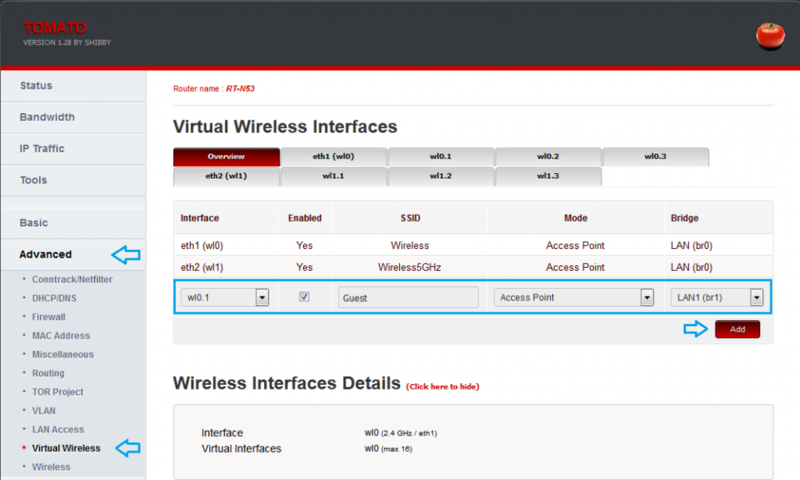 Here you can set your wireless SSID (again) and security options. Once you’re done scroll down and you’ll notice the Save button turned into an Overview button. Click it and you’ll be returned to the Overview tab. You can now scroll down to click Save. 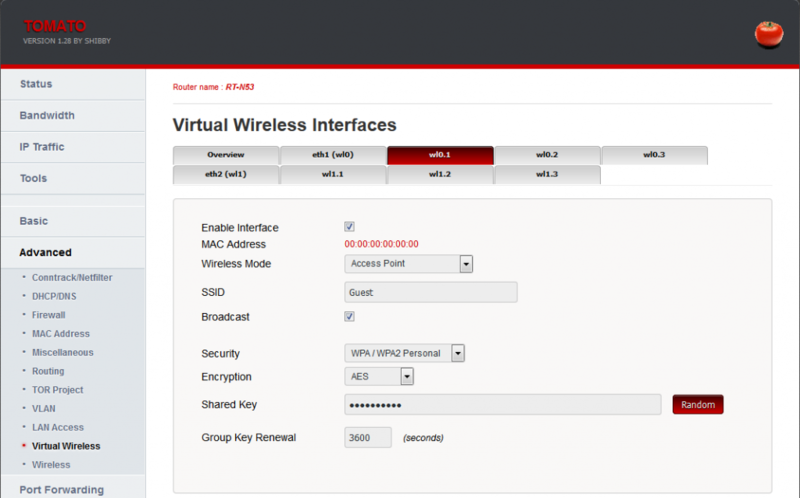 Your virtual wireless is now all set up. It should be visible, connectible and your device should receive an IP address. However you’ll notice that there’s no internet access (yet). And you’re done. Enjoy your guest wireless (or better yet, let your guests enjoy it). So after successfully set up a guest network für 2.4 and 5 GHz, none of the clients can access the internet. I’m too do not use the WAN port on my Asus RT-N66U, the router is just connected to a local network that uses a Firewall for connecting to the internet. 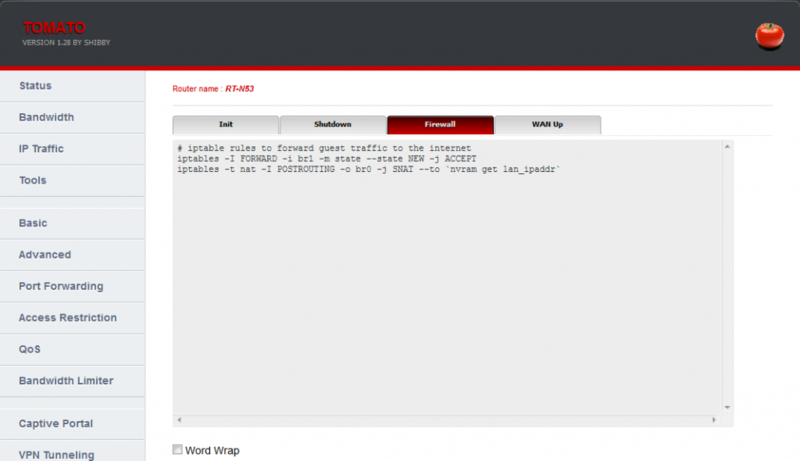 That means that those defined firewall rules, mentioned in the article do not work for my 1.28 Tomato. Any hints to get this running properly? That’s expected, as the firewall rules in the tutorial perform NAT to the WAN port. 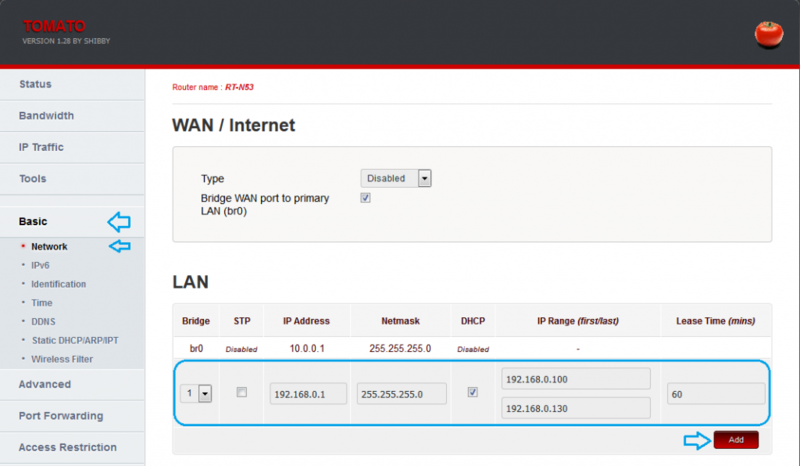 They’d need adjusting, but how should the guests be isolated from your LAN if they share the same IP address block and are forwarded through the same router? So it works using, but without a password. No matter how i set the password. If I disable security it works. Any ideas? Guest access worked nicely, but primary network access did not anymor at all! any idea why? Forgot to mention, I am using DHCP but with a list of fixed ip adresses on the primary access point Br0. Thank you very much! 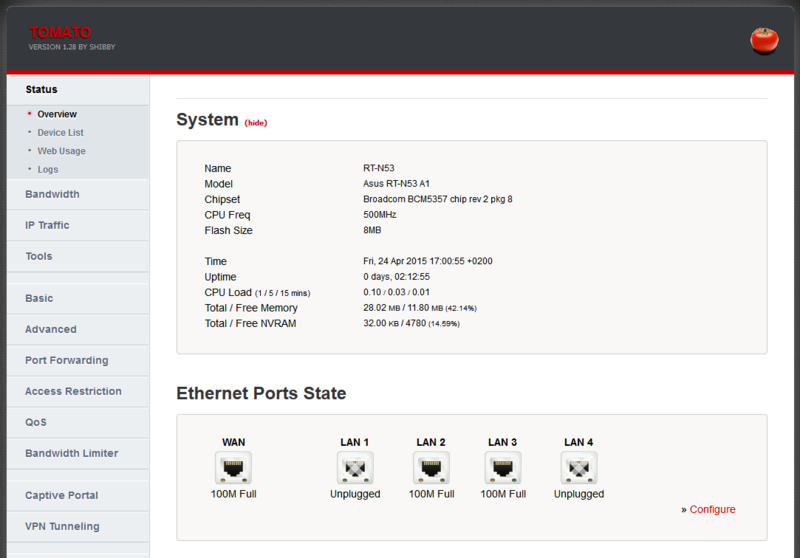 I spent days trying to get this working using DD-WRT on my Asus RT-AC56U. And it worked first time on Tomato Shibby 1.28. It seems the firmware is good and your instructions are great! But this is such a common requirement that I’m surprised there isn’t an easier one-step procedure allowed for in the Web GUI. Worked perfectly. Thanks a bunch! Tho im curious on a couple things, first off is there a way to block users on the guest network from downloading stuff? I mean browsing, checkin snapchat etc etc should work fine. But i dont want some randoms sitting on my guest downloading movies etc. Is there a way to block such traffic only on the guest network? Secondly, i kinda want to troll my guest users a bit..
Is it possible to force a rickroll video in the captive portal agreement thingy? I needed to change this line “iptables -t nat -I POSTROUTING -o br0 -j SNAT –to nvram get lan_ipaddr” in “iptables -t nat -I POSTROUTING -o br0 -j SNAT –to $(nvram get lan_ipaddr)” in order to get it working with Shibby 1.28.